Let me clear up from the offset that I’m not having a go at community tank keepers. In fact, if I did I’d be a hypocrite given some of the waifs and strays that have ended up bundled together in my main aquarium. I’ve seen some amazing communities, where the balance of fish and water chemistry has been so well contrived that aside the unusual nature of the fishes' tankmates, all inhabitants were as happy as could be. And of course, with the abundance of farmed fish that we see, it could be argued that the recent historical environment for many a fish has been only man-made ponds, vats, and retailers' selling tanks. From that perspective, suddenly being thrust into a dedicated swamp set-up with an abundance of frights of its own, and tankmates that the fishes' own ancestors haven’t come across in five or six generations could be just as alarming as taking a wild fish and placing it into a tank with a treasure chest and inquisitive shrimps. However, I’m still in the camp that if doing an aquarium, there’s heaps to gain from doing it right. There's nothing that quite matches viewing a tank in the knowledge that it's a prefect recreation of some distant tropical land, the opposite side of the globe. It’s like owning your own documentary, bringing out strange proclivities to describe the contents of the set up to yourself in your best Attenborough voice. Or that might just be me. For those unfamiliar with the word, and wondering just what I mean by 'biotope' then I guess the best way to describe it is that it is a tank that is a perfect recreation of the wild environment of a fish. That could involve going as far as getting plants and fish from one particular region and making a display of it, or it could be as far as a purist interpretation, recreating everything from seasonal changes in temperature and chemistry that exactly match the natural ones. You might go as far as sourcing substrates that perfectly match those in the wilderness. You may search high and low for the exact types of leaf that fall into the environment, and mimic monthly fluctuations in types of food. It’s all very addictive once you get started. Back in the more primitive time of fishkeeping, I recall being bought the superb Peter W. Scott book, The Complete Aquarium. In it I found step-by-step approaches to setting up a range of biotopes (far from accurate in most cases) that were inspiring for a young aquarist looking for the next project. I realised there and then that this was the future of fishkeeping. And I have to admit, I’ve seen some excellent biotopes since then. But the problem for me is that I’m seeing the same themes over and over again. Some biotopes will be interminable themes for as long as the hobby exists, such as the Malawian tank, the Amazonian stream, and the brackish estuary. What it would be nice to see is more biotopes that stray further left of centre. We can get the fish, the plants are everywhere, and substrates and décor are abundant. So, what do I think is being overlooked? Have a peek at some of the themes I’d love to see appearing over the next year. We seem obsessed with importing fish from all around the world without appreciating some of the treasures we have in our own country. The big issue with native marines is temperature. But then, there are a fair few marine keepers with chillers that are only seeing action for a month or two in the year. Why not think about a rockpool tank as a project for over the winter? Maybe collect some native fish and inverts in autumn when your chiller is going to be sat doing nothing, and give yourself a winter project? I’m sure the temporary inhabitants would be happy enough getting fat, ready to be released come the following spring. 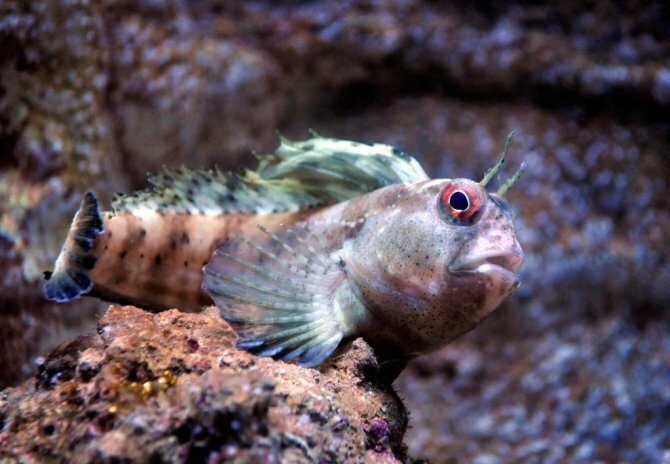 Our own seas are bloated with shanny, blenny, gobies, crabs and anemones that look wonderful under the complimentary glow of white and blue aquarium lights. How about trying a new genre of African Lake? It’s not only East Africa that has bodies of water, and this one deserves its share of dedicated set ups. Lake Barombi Mbo hasn’t the footprint of the other lakes, but it’s over 100m deep. Unfortunately, there isn’t much fishy life deep down because of the huge amount of subjacent CO2 built up, what with the lake being a gigantic volcano crater. We might not get the chance to do this tank much longer. The wild fish are all classed as endangered to varying levels, because of pollution and other human activity, and commercial fishing has been banned. Those fish that might be floating about in the trade include the Konia species of cichlid, as well as a few species of Soratherodon. For the diehards there’s even a species of Barbus, and a Fundulopanchax killifish. Conditions are soft but slightly alkaline, really mixing things up from the usual liquid chalk that’s automatically associated with Africa. If you fancied going the whole hog, the lake even has its own endemic species of sponge, as well as a Caridina shrimp. This would be, quite frankly, a very grisly biotope with redeeming features. Lots of grassy plants, little water flow, and if you’re keeping it topical than plenty of invasive floating plants like Water hyacinth and lettuce. Sandy substrates are key, with little in the way of hardscape except fallen and very well soaked branches. Light should be blazing, but the tank will be quite dark with all those floaters. Fish would be made up of three species. The classic Florida flagfish (Jordanella floridae) as well as the mosquito eating Gambusia holbrooki, and the delicately pretty Golden topminnow, Fundulus chrysotus. The fun here would be feeding them. All three are surface feeding insect munchers, and harvesting your own bugs to drop on top would give you a snapshot of exactly how life would be playing out all the way over in the states. And if we accept that non-natives have become an indelible part of the modern biotope, there’d be no reason not to add a few other commercially seen escapees – like the Platy that currently plagues anywhere wet in North America. Somebody give Galaxias a platform, please! The catch? It won’t be anyone in the UK doing it. These pulchritudinous fish are frequently found in waters of 10°C or less, which makes them an instant no-no for getting by CEFAS import laws. The biotope will be fast(ish) moving, and a perfect use of all those substrates and decors that biotope keepers are generally moving away from – gravel and rounded pebbles. This would be a perfect opportunity for keepers down under to put to use the river manifold we covered in the magazine last year in a step-by-step. Fast flows over gravel laced with pebbles, active middle swimming fish, and maybe a nice ruffling bed of Hydrilla being buffeted about. Fish species could be chosen to fit tank size. For something large, some of the bigger Galaxias olidus that reach around 15cm/6". For something smaller, the tiny Galaxiella species, like Galaxiella nigrostriata that barely skimp past 3.5cm would fit in nicely. I used to hate Convicts. I mean really hate them. And it’s only now, with the gift of hindsight that I realise I’d gotten it all wrong. What I hated wasn’t the fish, it was where they were put. More often than not I’d see one sat in a community, happily kicking seven bells out of a terrified Kribensis, or sat in flowerpots behind a bubbling shipwreck. Sometimes, they’d even be trying to hold their own as the sore thumb poking from a Malawi set up. It dawned on me that I just hadn’t seen a Convict done right. So how about a biotope for this long abused fish? There are loads to choose from, including creeks and streams, to pools warmed by springwater. The one I’d really like to see however, is one of Lake Amatitlan itself. Even here the options are good. Go for some big rounded rocks, or felled wood. Or even both. It might not last too long, but you could try some native Potamogeton and Ceratophyllum plants, or even go cheap with Elodea. If you have a big enough tank you can even consider some dithering tankmates, in the form of the robust Astyanax fasciatus tetras. You might have alarm bells ringing, images of Blind tetras lumbering into an angry Convict’s breeding cave, but I’m talking about the species that lives above ground. So someone out there, restore my faith in what really is a beauty of a fish. I’ll be ever so grateful. Another one that we won’t be seeing in the UK in a hurry, this is something on my dream list for the future – but a public aquarium might be able to do it in the meantime. Not heard of Lake Baikal before? Then you’ll be stupefied to discover that it’s nearly as big as Belgium, and holds around a fifth of all the freshwater on the planet. It’s the deepest lake on Earth, trouncing its tropical rift valley cousin, Tanganyika. Baikal is characterised by being cold – the region gets no warmer than 14°C in the height of summer. Deep down is the realm of freshwater sponges, and the incredibly odd Baikal oilfish. These transparent fish are nearly 40% oil, reproduce in terrifying numbers (3000 young per livebearing female), and decompose at an astonishing rate if they ever hit the surface. The lake’s that big it even has its own species of seals fringing it. This place is a hotbed for unusual things. There are hundreds of species of Gammarus, predatory flatworms that can stun fish, algaes of every description, and higher levels of the lake are fat with molluscs. Best of all, the lake is ripe with bullheads and sculpins of the genus Cottidae. There are 32 different species to choose from, 29 of which are endemic to the lake. They’ve been there for about the last 5 million years, happily speciating off and looking like the wide mouthed grumps that they are. Is there anywhere in the UK I could see anything like this? If there is, I want to know about it, because I can’t find it. What is it with Asian biotopes? I’m seeing the whole scene go one of two ways. 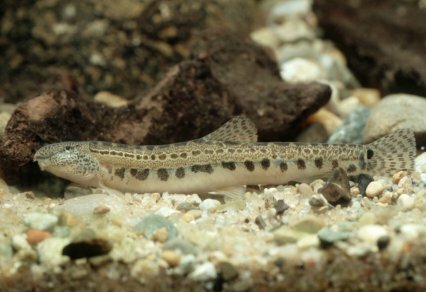 The first is river dwelling loaches, with ingenious contraptions built into tanks that create blustering flows of water. The other is the rasbora nano, the colour of coffee and scattered with leaves and fingery wood. Both are great, but what happened to the old classics? Gourami have served this hobby well for decades, so why relegate them to just being an 'also ran' for the rest of their days? They deserve better, surely. After all, this is the fish that the far Eastern fish farming industry was built upon. How would I do it? Well, I’d have an open topped tank for one, and I’d take leap away from the older ideas of Cryptocorynes and blackwater. I’d opt for Blue gourami, Trichopodus trichopterus, in a grassland setting. After all, these chaps do inhabit flooded grassland when the opportunity arises, and I think it’d be awesome to take an open topped, moderately shallow tank, and get handfuls of rice growing in it. Half the tank thick with dense foliage, with the remainder open over a sandy base, maybe a few leaves in there, and heaps of floating plant – maybe something like the invasive Lemna duckweed. After all, who says a biotope shouldn’t represent the world as it is now? Those chaps would be spawning in no time. I started native, I’ll end native. Native fish are the original temperate treats. Unheated tanks, and what better way to recreate a biotope than to go out and see the exact catching point with your own eyes? To write down or photograph everything you see, and then to go home and make an exact reconstruction, even going so far as to use plants, décor and wood from the very site – that’s the way to biotope, for sure. Obviously, you’ll want to check over with local authorities about doing this beforehand, as different councils seem to have different attitudes to it. And for the love of Thor, don’t stray into some nature reserve or protected green belt and start harvesting livestock. You’ll be up in the dock before you can say 'breeding project'. Not so long ago, PFK editor Jeremy Gay was scouting about in a Fenland drain close to his home when he came across a Spined loach (Cobitis taenia). Ironically, just down the road is one of the largest loach retailers (if not THE largest) in the UK. Fishkeepers are so preoccupied with the newest and best that they don’t even notice what’s under their noses. In fact, I’m going to go out of my way to offer a prize of some kind for the best home native biotope I see this year. Get some ideas down, everyone, I’ve got a bee in my bonnet and want to run a really authentic home biotope piece later in the year. Start throwing ideas at me, and if they’re good I’ll want to talk to you about putting your tank in the magazine.